Citibank Company Information Is this your company? Add your own content to this page. We currently have 5 open jobs at Citibank. 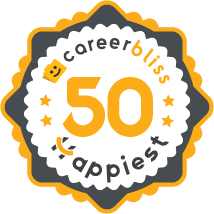 We've calculated that the average salary at Citibank is $45K based on 2,702 user-submitted salaries A total of 422 Citibank employees gave Citibank an average happiness rating of 4.0 out of 5.0. 342 Personal Bankers from Citibank submitted salaries. 2.6 I would beef up the amount of underwriters to processors and make them work at the facility along side the processors where they would be accountable for the work hours and easily accessible to processors and management. I would also look at the processes to see if there were options to streamline some of them and implement procedures that everyone would follow, so getting the loans through processing and underwriting were more cohesive. I would also make the loan officers more accountable for submitting clear and complete files to processing, and also make them more responsible for follow up with their clients. 4.5 It's a good company and they offer lots of flexibility in working arrangements. People generally feel secure and remain for a long time. Lately, however, there has been a trend towards regular layoffs so it keeps some people, especially those employed a long time, on edge. If you like a heavy work load, it's a good place to stay busy. 4.2 Citi is a great workplace but with slow salary growth path. To most Citi employees, the most common and the best advantage to work in Citi is its flexibility policy. This policy helps a daily worker to maintain the balance between life and work. Although not everyone can have this privilege, you will earn it once your efforts get approved with years of services. To serve for such a US iconic enterprise with global scale, you'll have many internal job opportunities to pursue after you get hired. Citibank is a subsidiary of Citigroup, also known as Citi, and was founded back in 1812. The company functions primarily to provide consumer banking. They have over 200 million customer accounts all over the world. Citibank is headquartered in New York City under the direction of CEO Vikram Pandit. They deliver premium services for banking, lending, and investment services. Their target consumers are both individual consumers and businesses. They are also an innovative financial services company because they were one of the first anks to provide automatic teller machines back in 1970s. This was the first time that consumers had the opportunity to access their funding any time. As a subsidiary of Citigroup, Citibank expects nothing but the best from those with a Citibank career. They expect hard work, dedication, passion for service, and innovation. They place an emphasis on diversity, with several recognized employee networks, such as African Heritage, Women’s, Working Parent, Military Veterans, and more. Check out jobs page for more information on how you can obtain a Citibank career.